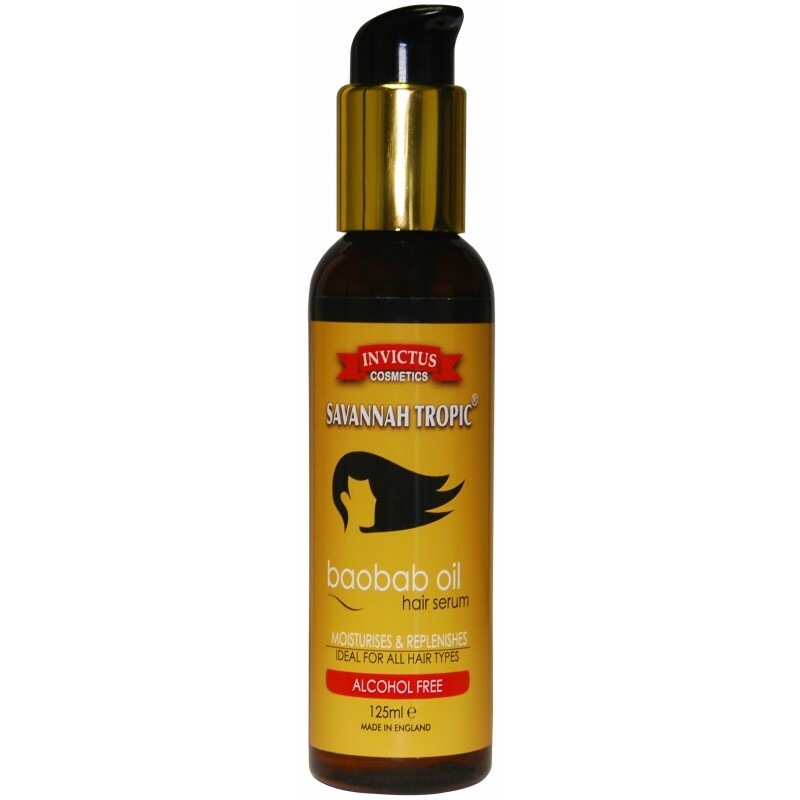 Savannah Tropic - Baobab Oil Hair Serum is suitable for brittle and dry hair. The exotic Baobab Oil is extracted from the seeds of the Baoba b tree, native to Eastern and Southern Africa. The oil is rich in Vitamins A, D, E, and F which contain essential fatty acids which replenish and moisturise hair. Benefits Suitable for natural wet or dry hair. Replenishes and moisturises hair. Eliminates frizz. 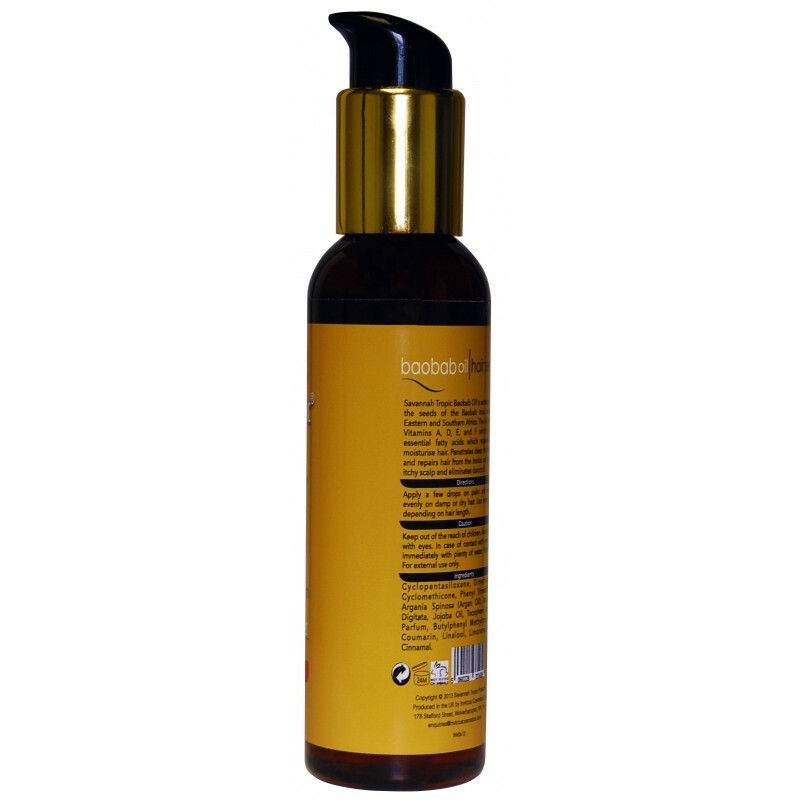 Penetrates deep into the hair and repairs hair fromthe inside out. How to use Apply a few drops of Savannah Tropic - Baobab Oil Hair Serum on to palm and massage evenly into hair. Use on damp or dry hair. Style as desired.